Spring has sprung! The 2016 Epcot® International Flower & Garden Festival is in full bloom, running from March 2 to May 30, 2016. Visitors to the festival will find themselves immersed in a colorful, fragrant world; a veritable feast for all five senses! Touch. 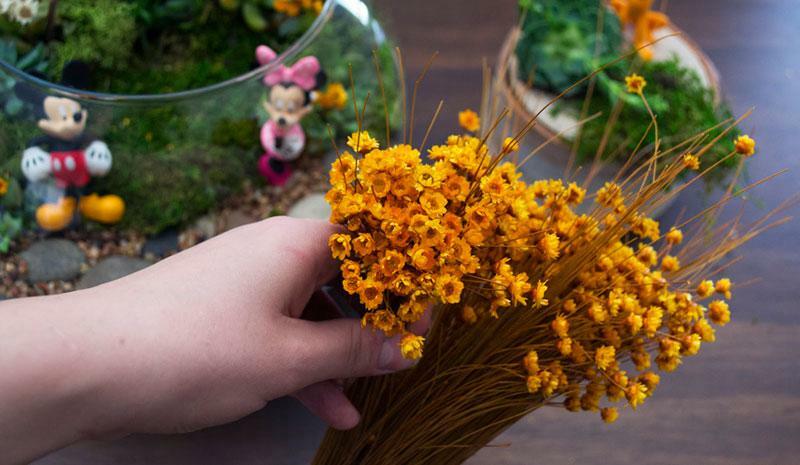 Get your green thumb growing with hands-on displays and learn gardening tips and tricks from the pros at the Epcot® International Flower & Garden Festival Gardening Seminars. Hear. Kick back while enjoying live performances of popular hits – both current and retro – with the Garden Rocks concert series. Now It’s Your Turn — Bring the Epcot® International Flower & Garden Festival Home! 1. 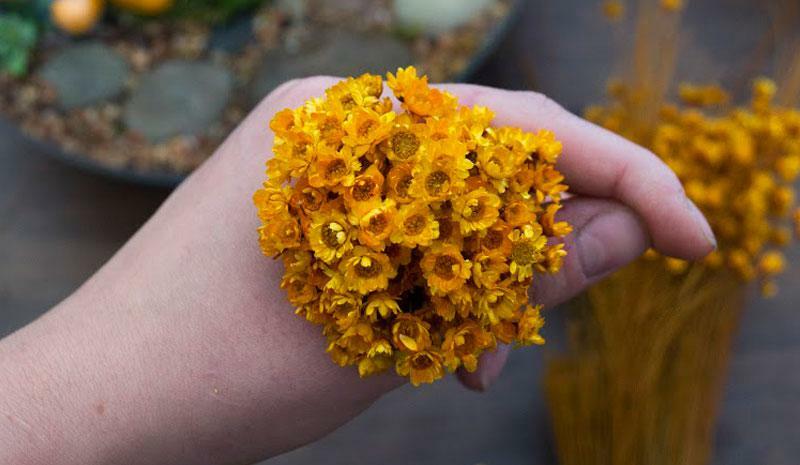 Grab a large bunch of starflowers roughly around 2” in width and cut the stems to around 2 inches long. 2. 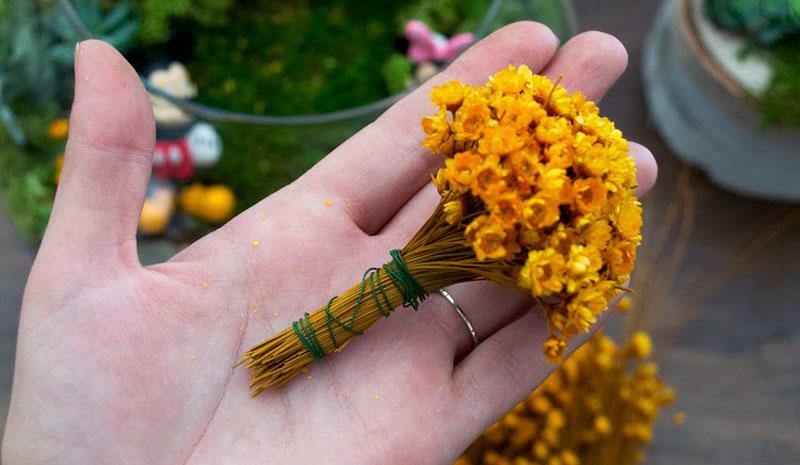 Keep molding flowers using your hand until you’re satisfied with the round shape. 3. Using 18g floral wire, wrap the stems as close to the bottom of the stems and as close to the top of the stems as possible. After wrapping floral wire around the stem, you may need to remold the head. 4. 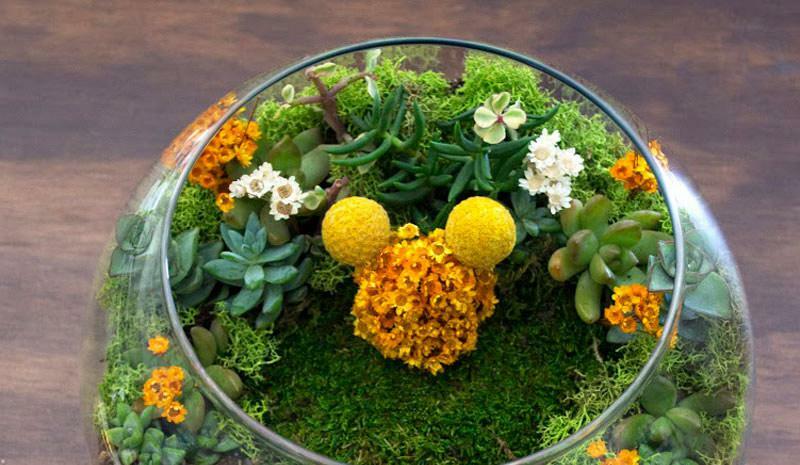 Use two smaller Billy Buttons for Mickey’s ears. 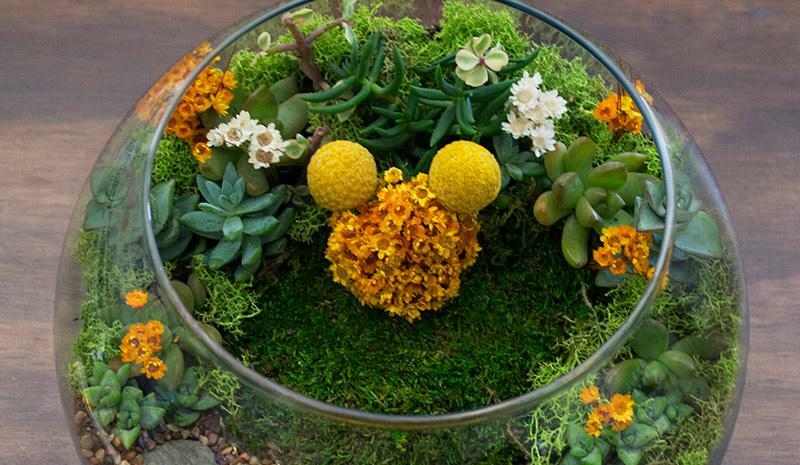 Insert the flower ball head into the soil as the Mickey “face” and 2 billy buttons into the soil as both of Mickey’s “ears.” You’ll know the shape when you see it! 2. 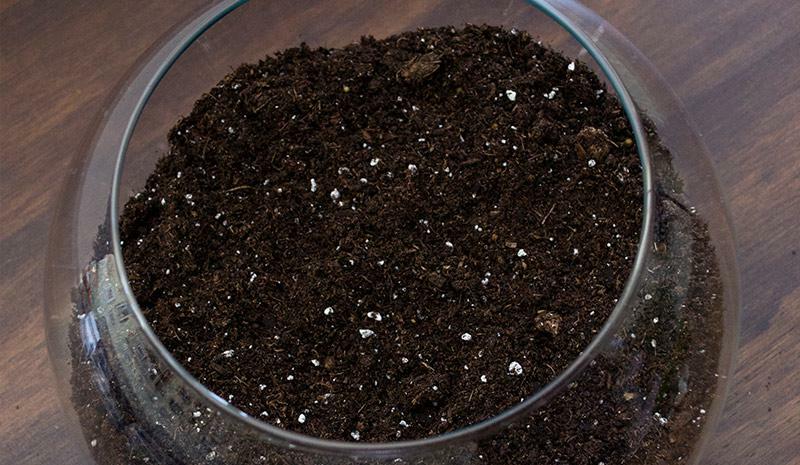 Add 2-3 inches of soil to terrarium and level out soil using your hands. 3. 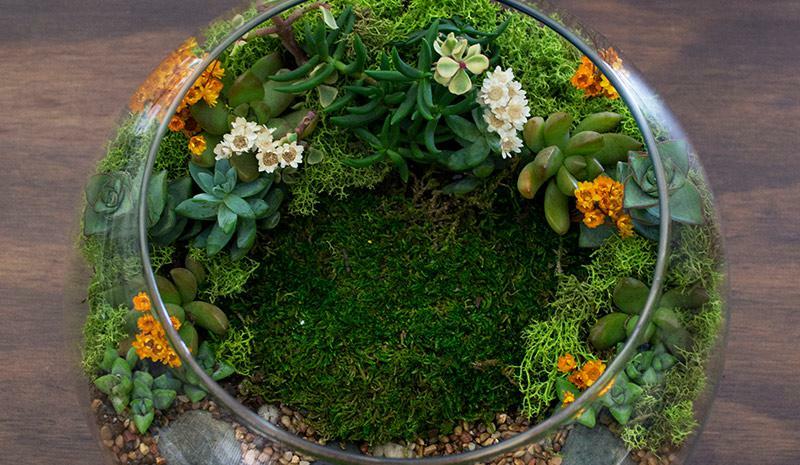 Pick one side that will act as the “back” of your terrarium and pile up 1-2 inches of soil in a crescent shape going from more soil in the center to less soil towards either side of the crescent. 4. To prepare your plants for planting, use your hands to gently remove any existing soil from the root of the plant. 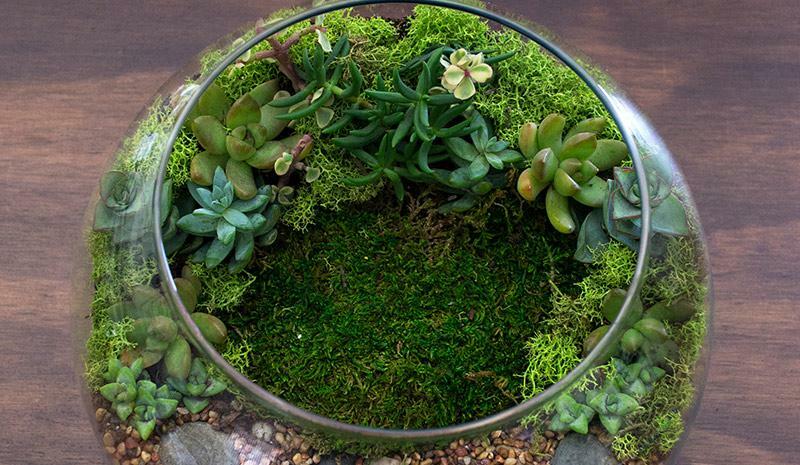 Start adding your plants to the terrarium in order of size, the tallest being in the center and the shortest being towards either end of the crescent. 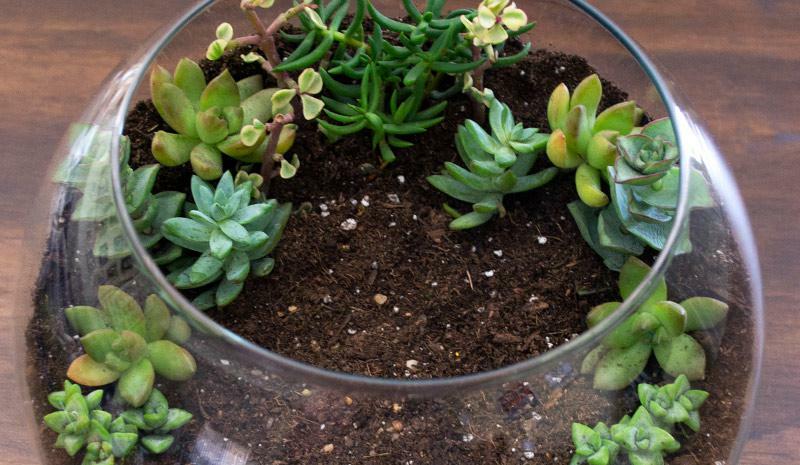 Be creative and use any succulents that appeal to you. Tip: For plants with fewer roots, use a chopstick or a paintbrush handle to create the holes for the plants to go into. 5. 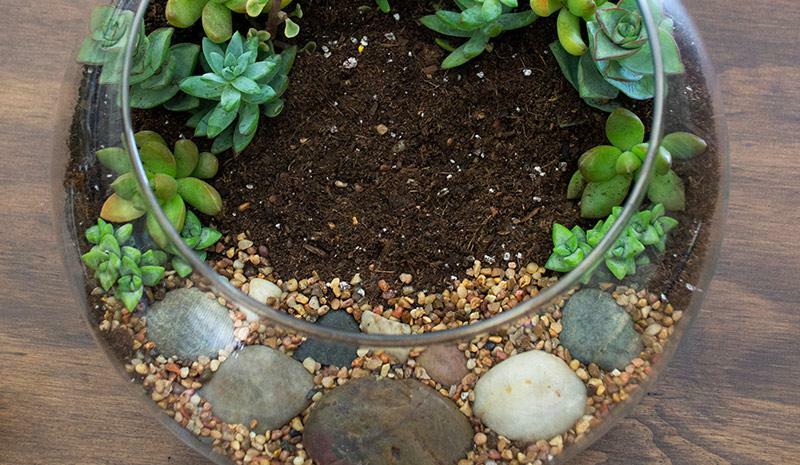 Add a line of river rocks that hugs the edge of the terrarium. Once placed, add extra small pebbles on top of river rocks and use a paintbrush to brush the smaller rocks in between the cracks of the river rocks. 6. Cut sheet moss to fit the area between the plants and the rock path you’ve just created. 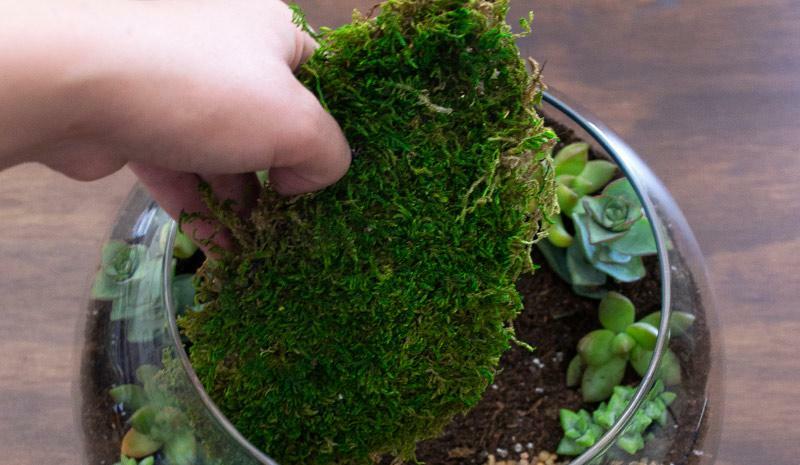 Once cut, push sheet moss down using your hands. You may have to tuck it under soil or rocks in parts. 7. Use chartreuse reindeer moss to fill in the area between each plant. 8. Using floral wire, create small bunches of starflowers and place them in between the succulents. 9. 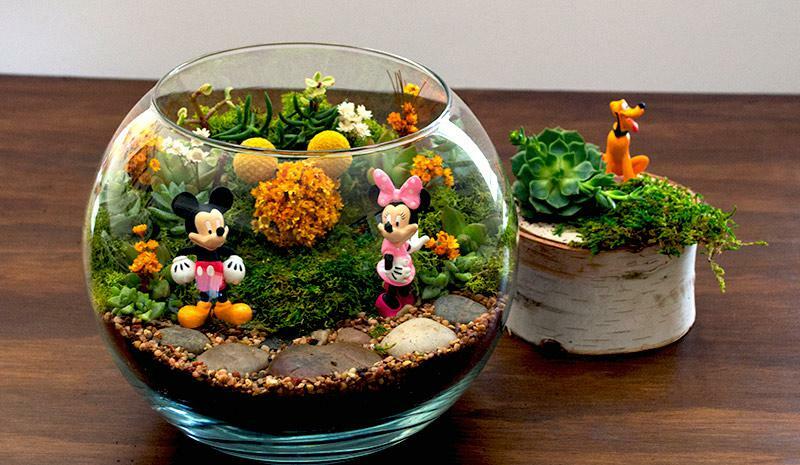 Place Mickey head in terrarium. 10. 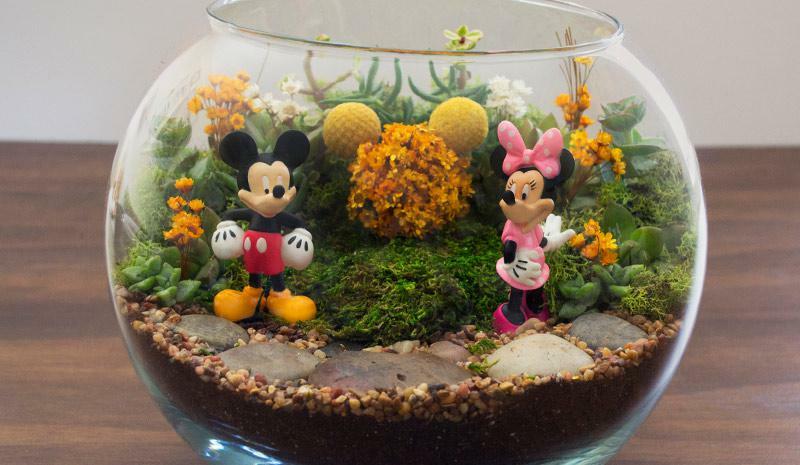 Place Mickey and Minnie in terrarium. Tip: If Mickey or Minnie won’t stand up by themselves you can wrap a piece of floral wire that is about 1.5” around their feet and anchor them in by sticking the floral wire directly into soil. 11. Water your succulents every 1-2 weeks in the spring and summer and every 1-2 months in the fall and winter. 1. 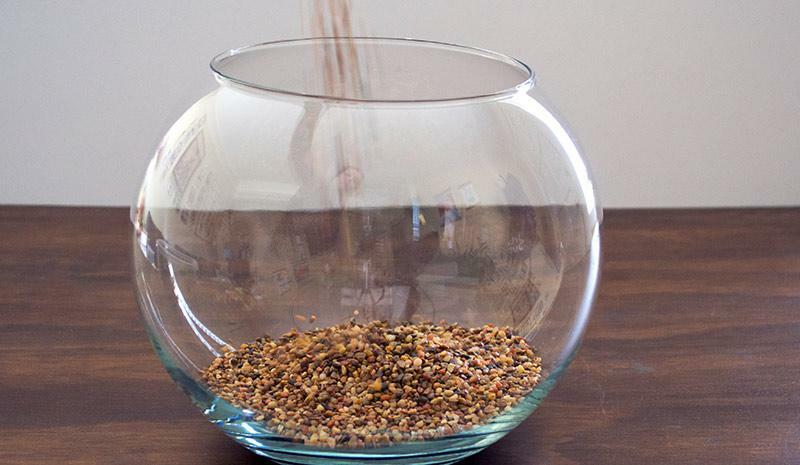 Use a paintbrush to clean soil off of the inside of the terrarium. 2. You can sometimes find reindeer moss, floral wire, and river rocks at the dollar store. Otherwise check out a crafts store as most carry these products. For more information on the Epcot® Flower & Garden Festival, check out EpcotinSpring.com. And for all the info on vacation perks for Cardmembers, visit our Vacation Perks page.